Turtle and I are here! 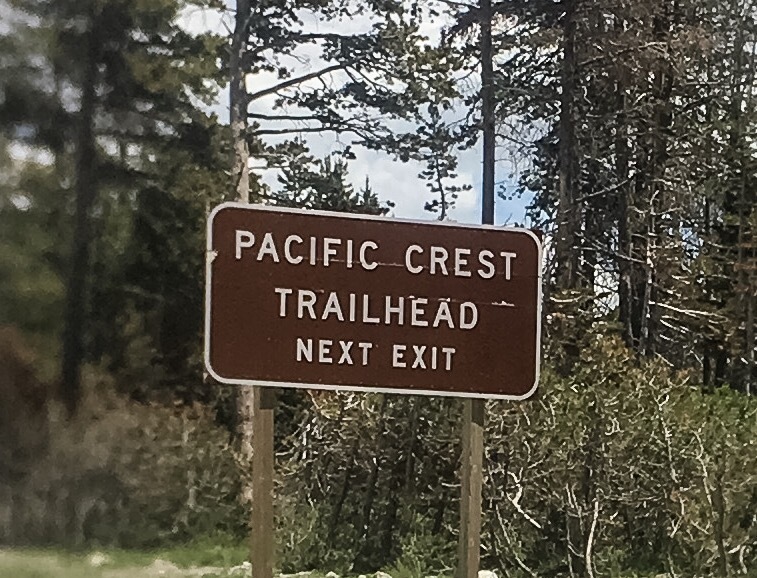 The roadside stop on I-80 has a short trail that meets the PCT. From here it’s 3.5 days to Sierra City and we will meet up with the Professor who will join us for 4-5 weeks. ← Soon to be back on the trail! Happy trails guys. Vaya con dios! 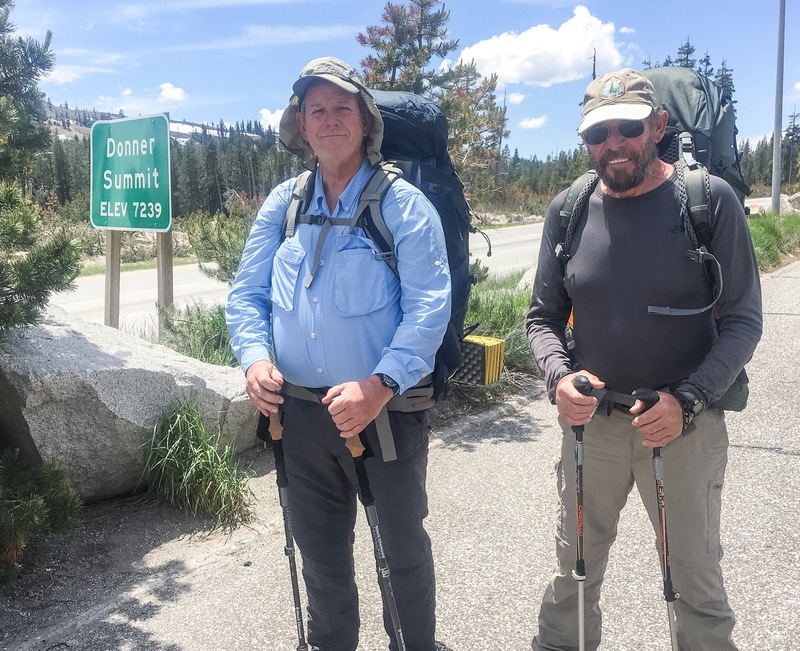 Looking forward to hearing more about the hike on PCT. Its hard to believe that we met at the Amtrak Station in Portland nearly a year ago. As the ole saying goes, Happy Trails. It was June 26th, 2015 the three of you entered our camp and had a refreshing cold one, We’ll be there again this year, plying hikers off the trail with cold drinks, asking what their motivation was/is to cause them to hike, learning their trail names and asking them to sign our log book. I want to see a picture of you three at Canada marker 78. Good Luck to the Three Sixties, t’was June 26, 2015 You three arrived in our camp and enjoyed a cool one. We’ll be there this year again, collecting trail names and offering cool refreshments and hearing stories of the PCT. Be safe, I want to see pictures of the three of you at the marker. Thanks Bill! We love you Angels! Good to see you on the trail again, looking forward to updates! Looking forward to your continued adventure! Best of luck and be safe !